31 March, 2017, New Delhi: The new maternity law has met with both support and criticism. While women are happy that they would get more time to take care of their newly born baby and get paid leave for a period of 6 months, some startups and SMEs are feeling the heat and pressure of this amendment. 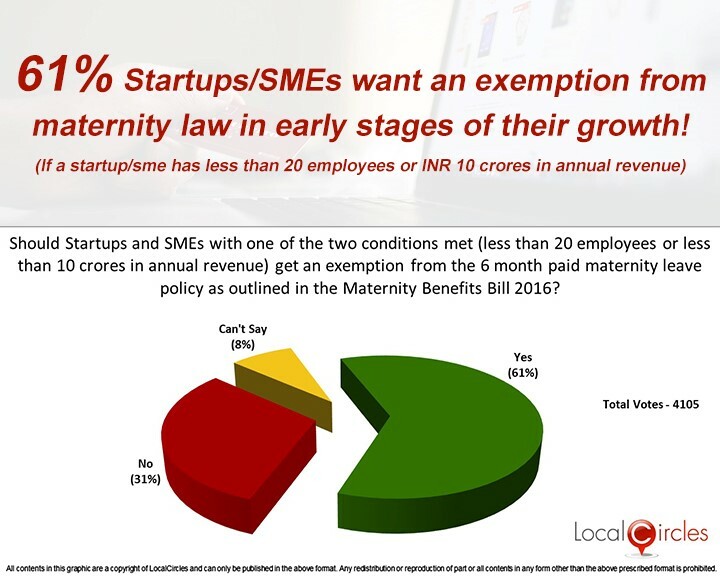 According to the latest survey conducted by citizen engagement platform LocalCircles which received 4105 votes, 61% of the startups and SMEs want the government to exempt them from providing 6 months paid maternity leave if they have less than 20 employees or have an annual turnover of less than 10 crores. 31% said that they did not want any exemption and 8% did not have an opinion. With many startups winding operations and a lot more struggling to even survive, the entire ecosystem will take a big hit if they had to give an employee a 6 month paid leave and at the same time hire another resource to fill in the gap. 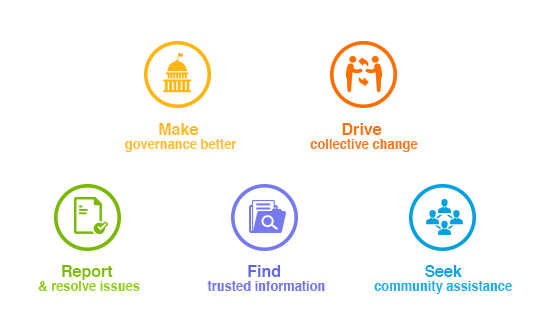 In a previous poll conducted by citizen engagement platform LocalCircles in which more than 4300 startups, SMEs and entrepreneurs participated, 35% said that this move will have a negative impact on their ecosystem as it would impact both the cost and the profitability of the business. 10% said that it would not impact their company since they do not have any female employees. 39% said that it will have a positive effect on the company as it will lead to a happier workforce and 17% were not sure about the outcome. In another previous poll, when asked how will the hiring approach for your startup/SME business change now that the new maternity law is in place, 40% of the respondents said that they will still hire women but consider if the added cost is worth the candidate. 26% said they will now prefer hiring male candidates with 22% saying they did not expect any change in their organisations hiring policy. 12% respondents chose not to answer the questions. For Startups and SMEs to be able to keep hiring women and assign important roles to them, a serious look needs to be taken at this exemption. It is critical that women be a critical part of the Startup India mission. This submission is also being shared by LocalCircles with Startup India, Department of Industrial Policy and Promotion (Ministry of Commerce), Ministry of Labour and Ministry of Women and Child Development for their due consideration.